When we take over a project from our clients, we will check out the part structure based on DFM principles, and provide our professional comments to amend manufacturability. Most of time, we will suggest customer to add fillets, draft, add or reduce wall thickness. Since this small action will prevent flash, shrinkage, unfulfilled, injection mark, etc. In this way, we could foresee and eliminate most of potential plastic injection defect, it greatly avoided some common risk to happen. 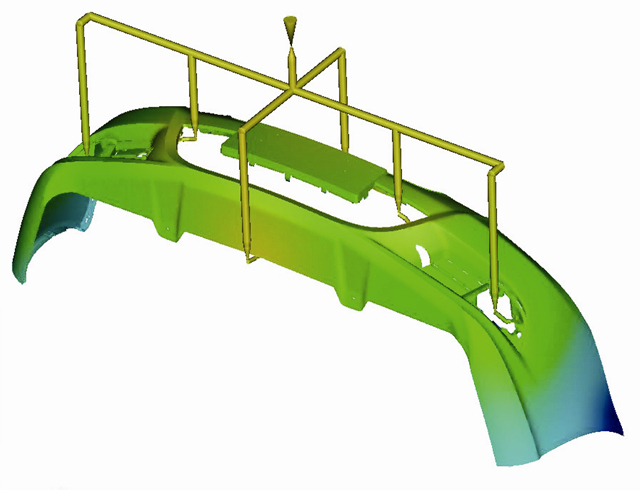 It’s our first step to perfrom moldflow analysis prior to a mold design, we can anticipate some unseeing engineering fault and reduce potential manufacturing risk, even though sometime we can totally avoid mistakes to happen in advance. For example, reasonable injection gator, pin marks, air venting slot would avoid lots of shrinkage and deformation for 90% plastic parts. This is why we have been insisting on doing this process. We utilize latest technology by CAD Computer-aided data) and CAE(Computer-aided Engineering) to simulate the plastic injection molding process. Our experienced mold designer can make the mold filling analysis as a prediction of 99% filled before a mold is built. Since the mold filling balance would affect a lot on the actual products. And this engineering process would save both cost and time. This is why we have been emphasizing this action. It’s commonly understood that a single mold filling analysis alone may not predict cosmetic issue completely, we would also use additional packing, shrinkage, and warpage analysis to predict sinks and distortions problem. 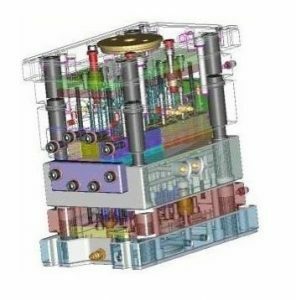 Mold cooling system is a big concern to mold design and manufacturing. Naturally cooling system analysis could be as important as performing filling analysis and may be more important for overall cycle time, since it would affect injection cycle time, product cosmetic, product function, and product quality. Sometimes our clients were unable to even add another cooling channel to improve current cooling design because of the cost or existing tool design restrictions. 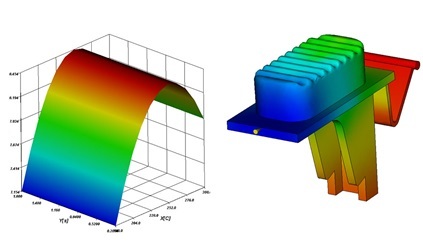 These situations leave us with very little flexibility to make any changes, but our creative mold designer would think out of box to work out a feasible, cost-saving, and high efficient cooling solution, which helped greatly to meet customer’s project schedule while without making much change. As we know, any plastic part would come with a certain percentage of shrinkage while injection process, so it is quite reasonable to compensate for some shrinkage. 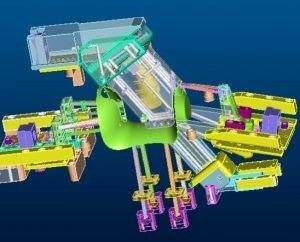 Even the shrinkage is not avoidable, however we could use the CAE system to scientifically do warpage analysis and look through all variables of part design, materials, molding, and injection processing. In some cases,the shrinkage is not uniform and it varies from flow direction to cross flow direction. And part design plays an important role to control some of this warpage, but it is not as simple as just adding more structure to the part neither it is simply matter of flow leaders. This is how and why we use CAE system to predict the warpage behavior and helped customers optimize their product design.